Two B-25 bombers associated with American servicemen missing in action from World War II were recently documented in the waters off Papua New Guinea by Project Recover—a collaborative team of marine scientists, archaeologists and volunteers who have combined efforts to locate aircraft and associated MIAs from World War II. The B-25 bomber is one of the most iconic airplanes of World War II, with nearly 10,000 of the famous warbirds conducting a variety of missions—from bombing to photo reconnaissance, to submarine patrols, and the historic raid over Tokyo. Present-day Papua New Guinea was the site of military action in the Pacific from January of 1942 to the end of the war in August 1945, with significant losses of aircraft and servicemen, some of whom have never been found. Project Recover is comprised of scientists from Scripps Institution of Oceanography at the University of California San Diego and the College of Earth, Ocean, and Environment at the University of Delaware and members of the nonprofit organization BentProp, Limited. In February, a Project Recover team set out on a mission to map the seafloor in search of missing WWII aircraft, conduct an official archaeological survey of a known B-25 underwater wreck, and interview elders in villages in the immediate area. In its search of nearly 10 square kilometers, Project Recover located the debris field of a B-25 bomber that had been missing for over 70 years, associated with a crew of six MIAs. "People have this mental image of an airplane resting intact on the sea floor, but the reality is that most planes were often already damaged before crashing, or broke up upon impact. And, after soaking in the sea for decades, they are often unrecognizable to the untrained eye, often covered in corals and other sea-life," said Katy O'Connell, Project Recover's Executive Director, who is based at the University of Delaware's College of Earth, Ocean, and Environment. "Our use of advanced technologies, which led to the discovery of the B-25, enables us to accelerate and enhance the discovery and eventual recovery of our missing servicemen." Project Recover blends historical and archival data from multiple sources to narrow underwater search regions, then surveys the areas with scanning sonars, high definition imagers, advanced diving, and unmanned aerial and underwater robotic technologies. "The latest discovery is a result of the dedication and fervent efforts of everyone associated with Project Recover," said Dan Friedkin, chairman and CEO of The Friedkin Group and a member of the Project Recover team who provides private funding for the organization. "We are encouraged at the progress that is being made as our search efforts expand and remain committed to locating the resting places of all U.S. servicemen missing since World War II." 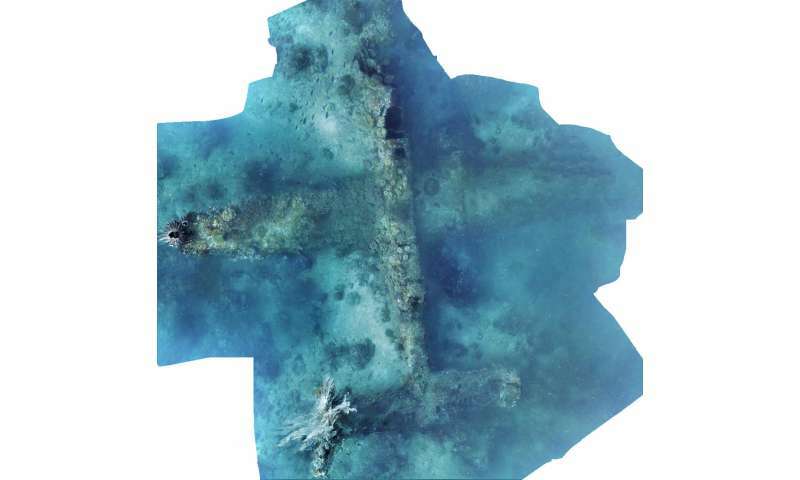 In addition to searching for missing aircraft, Project Recover also conducts archaeological surveys of sites that are known, but not yet documented, like the site of a B-25 bomber that was discovered in Madang Harbor, Papua New Guinea. 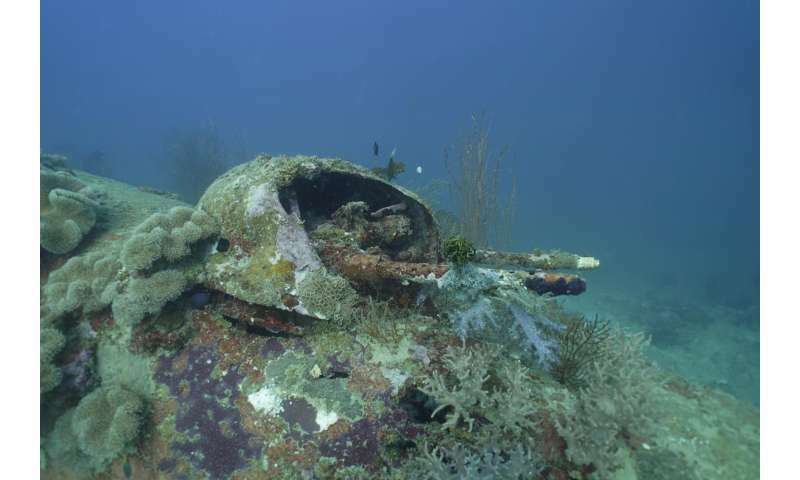 "While well known to locals and scuba enthusiasts for over 30 years, this particular B-25 had never been officially surveyed," said Andrew Pietruszka, a Scripps Oceanography scientist and Project Recover's underwater archaeologist. Of the six crew associated with the aircraft, five survived the crash but were taken prisoner by the Japanese. The remaining crewmember went down with the plane and is still listed as missing. 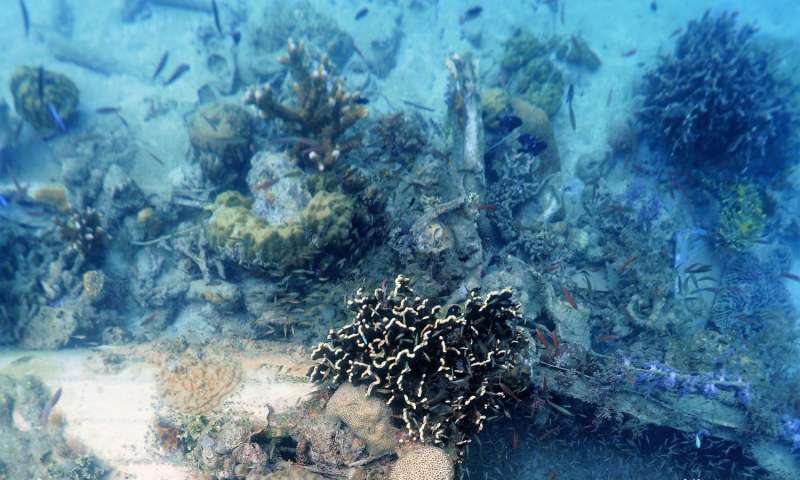 "Our team of divers and scientists conducts site surveys to fully document the wreckage. That documentation can then be used by the U.S. government to correlate soldiers still missing in action with the aircraft site we discovered, and to evaluate that site for the possible recovery of remains," said Pietruszka. While the scientific focus of Project Recover is to conduct underwater searches and surveys, equally important are the historical accounts of crashes that are often part of local histories, passed from one generation to another. While speaking to village elders about the two B-25 cases, Project Recover team members were told about local terrestrial burial sites and an additional aircraft that had crashed on land. Project Recover provides detailed information about its missions and any discovered wrecks and possible links to airmen listed as missing in action to the Department of Defense's Defense POW/MIA Accounting Agency (DPAA). DPAA is tasked with recovery and repatriation efforts, including notification of the families of these MIAs. "Any find in the field is treated with the utmost care, respect and solemnity," said O'Connell. "There are still over 73,000 U.S. service members unaccounted for from World War II, leaving families with unanswered questions about their loved ones. We hope that our global efforts can help to bring closure and honor the service of the fallen." The mission to Papua New Guinea kicked off Project Recover's second year of formal operations and was made possible by a substantial financial commitment from Friedkin in 2016. Friedkin's continued support is helping sustain ongoing missions, while enabling the organization to innovate its technology and broaden its search and discovery efforts to focus areas around the world. In 2016, team members expanded operations, conducting missions in eight countries (England, New Caledonia, Palau, Saipan, the Solomon Islands, Tinian, and the U.S.) in search of over 20 aircraft and 100 service members still missing in action. Five aircraft were successfully identified and documented, with documentation submitted to DPAA. The missions also resulted in new leads, based on field research and personal accounts from locals, which will aid in planning for future missions. Among other missions around the world, Project Recover plans to return to Papua New Guinea later this year to focus on other cases of interest and further explore leads that developed from the February 2017 mission.